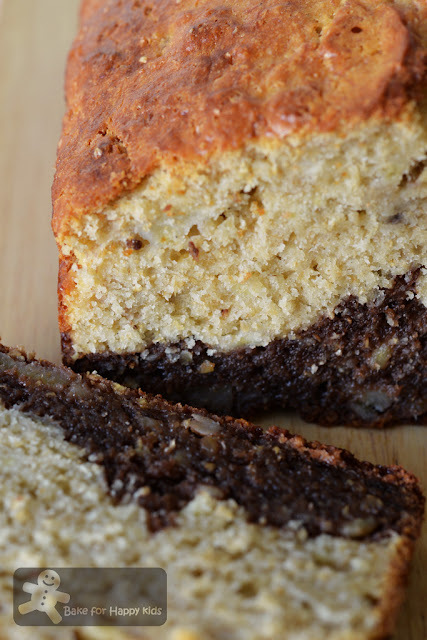 To me, this banana bread is not just another banana bread. 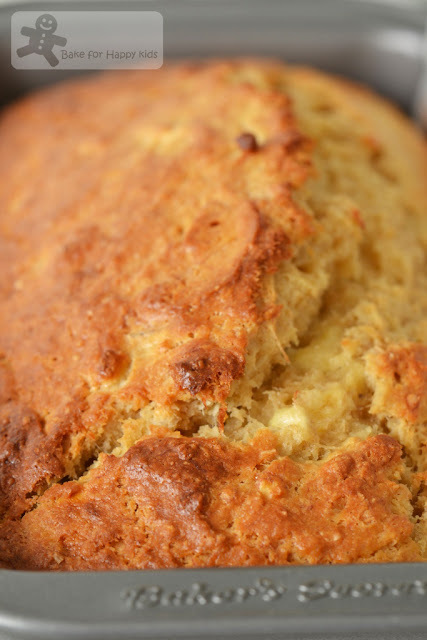 It is a banana bread that is made with nutritional ingredients like banana, wholemeal flour, Milo and yogurt and tastes very special with its Milo bottom layer. An article in Science Daily says "Bananas have long been a favorite source of energy for endurance and recreational athletes. Bananas are a rich source of potassium and other nutrients, and are easy for cyclists, runners or hikers to carry..." No wonder I see runners eating bananas while running a marathon. At Nestlé, Milo is promoting itself as "a world’s leading chocolate malt beverage that can be prepared with hot or cold milk or water. It offers essential vitamins and minerals to meet the nutrition and energy demands of young bodies and minds. Launched in Australia in the early 1930s, the Milo brand takes kids' development seriously. It has long been known as an energy beverage strongly associated with sports and good health." No wonder I see scenes of my olden days when my school friends and I were enjoying our sponsored Milo happily on our school annual sports days. Yeah... we were a bunch of energy starving kids! Till now, I'm still a believer of banana and Milo being a good source of energy for sports. When I saw this Nestlé black bottom Ovaltine (or Milo) wholemeal banana bread recipe, I see its potential immediately and glad that I see it!!! So yummy that my fast-growing son and an energy starving running me are loving it!!! This bread is made with Milo and lots of banana. Baking this bread is easy! ... but do not over mix the batter. Mix until just combined. The Milo bottom layer makes the bread tastes very special. 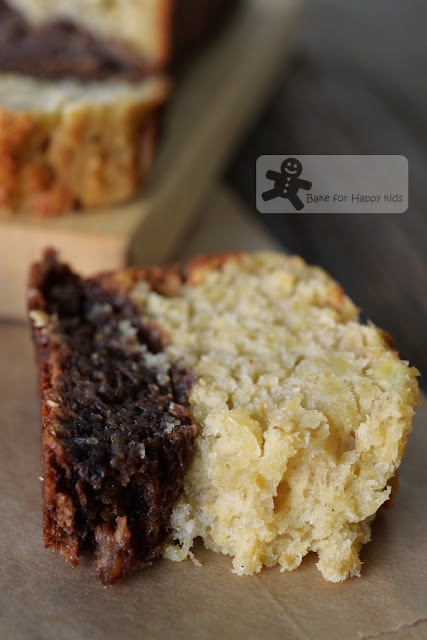 The Milo layer is extra moist, sticky with slightly chewy crust. Very very delicious!!! 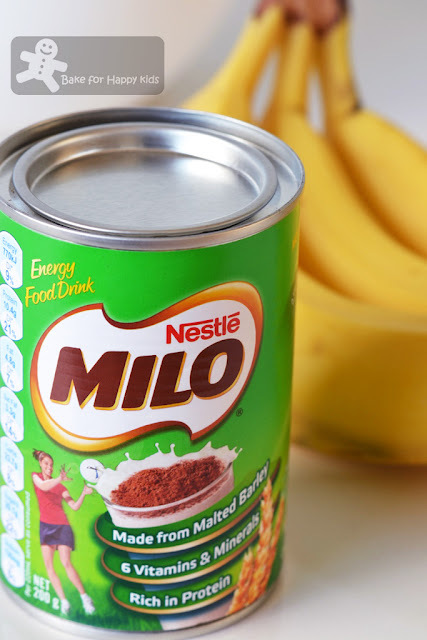 Banana + Milo = super duper! Zing!!! I felt like Popeye the sailor man when I had my first bite of this bread... and I see the same effect on my son... LOL! My muscles felt like I was fueled with this delicious form energy and all charged up for more running... but my lazy son just eat, eat, eat this bread and sleep... LOL! This is 3/4 of the original recipe as the original full amount makes one 12.5 x 22.5 cm (9 x 5 inch loaf. Preheat oven to 350°F or 180°C. Spray loaf pan with nonstick cooking spray and line the pan with a strip of over hanging baking paper - this helps to remove this bread easily. Combine whole-wheat flour, all-purpose flour, baking powder and salt in medium bowl. Set aside. 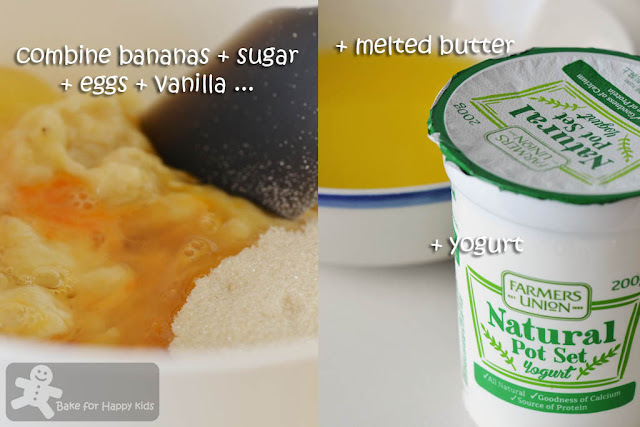 Combine bananas, sugar, butter, yogurt, eggs and vanilla extract in large bowl; stir well. 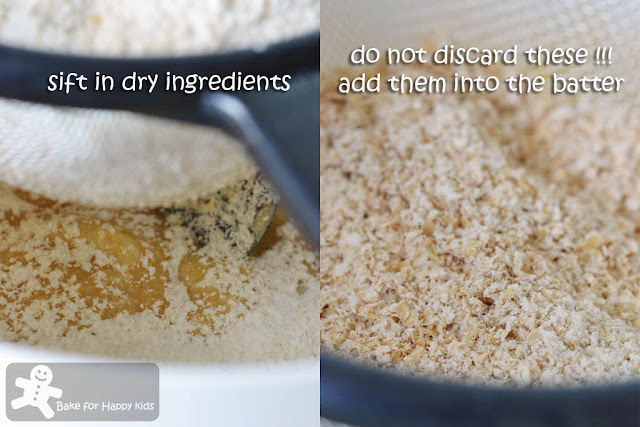 Sift in the flour mixture and mix until just combined. Do not overmix. 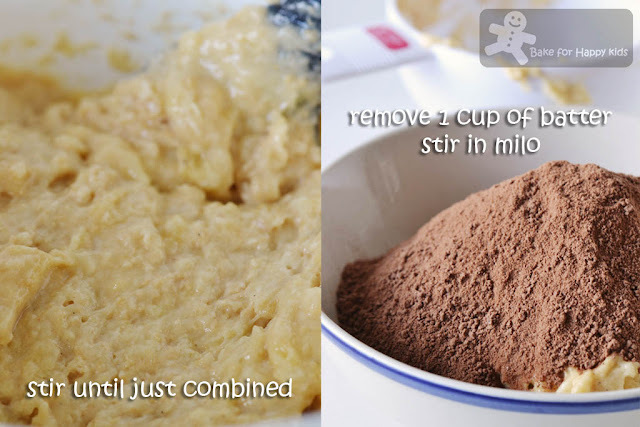 Remove 1 cup of batter and place into separate bowl along with Ovaltine or Milo; stir until combined. 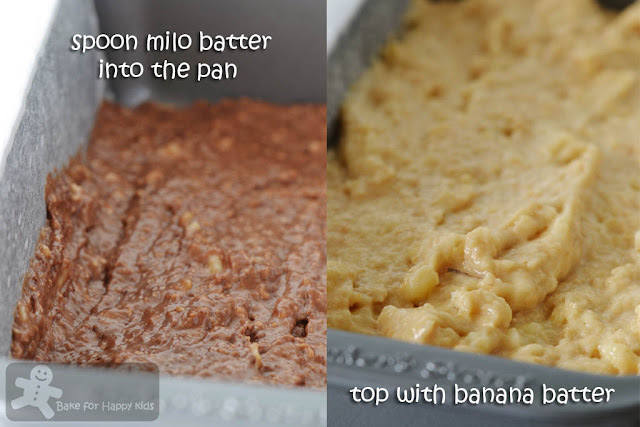 Spoon the Ovaltine/Milo mixture into prepared pan; top with remaining banana batter. Bake for 50 mins or until wooden pick inserted in center comes out clean. Cool in pan on wire rack for 15 mins. Remove bread from the pan and transfer to wire rack to cool completely. To store, wrap in plastic wrap and stored at room temperature for up to 3 days. This is an interesting recipe.. some of the bananas are sitting on my kitchen counter top.. I think I should try this one..
Hi Zoe, thanks for your comment - it is never too late to add to a Food on Friday collection - just leave me a short comment so I know you have added something and I'll be sure to pin your contribution so others will see it too. Cheers from Carole's Chatter! Zoe, if you served me this cake, I will attack the Milo layer first hah..hah... I hope to join you in this Milo baking adventure soon! Yummzz, who doesn't like banana+Milo? The cake looks like it has so much bananas in it, I love bananas !! Hi Zoe, I can see that it is a super duper yummy banana bread. Interesting to add the milo base! Hi... Thanks for the recipe! Just to clarify, the list of ingredients does not include baking soda but it's mentioned in the instructions. Would you like to take a look again? Thanks! Thanks for pointing out the error! I have corrected the error accordingly. The original recipe at Nestle Kitchen contains baking soda to react with yogurt but I have substituted this addition with slightly more baking powder and it worked well for me too. 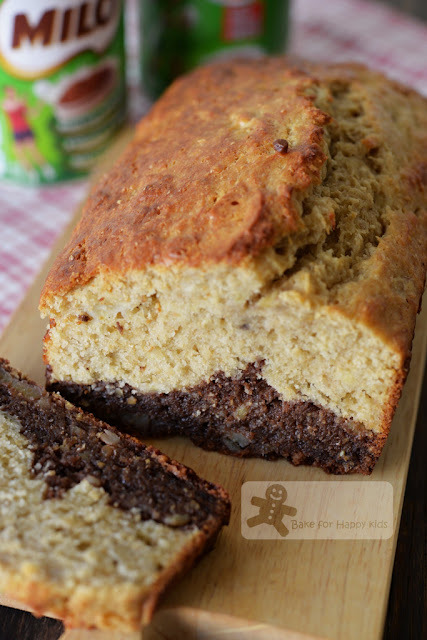 Yummy wholesome goodness .... like this banana + milo combo wholemeal banana bread ! This recipe looks great Zoe! I love that it's simple and I love the idea of the chocolate bottom! We don't have any bananas at home right now but I totally plan to get a bunch to get old so I can bake some goodies!